Recruiting New Staff? We have your next qualified candidate here. RECRUITING NEW STAFF? FIND YOUR NEW CANDIDATE TODAY! Couldn't find the right candidate? Advertise on DE Job Market! 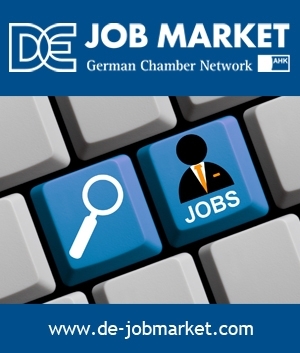 DE Job Market is an efficient source for domestic and international talents, and a preeminent platform for reaching professionals with a German background. Participating companies gain access to our pool of highly qualified candidates, and can elevate their company profile to job seekers. You are receiving this email, because you are an existing member or have signed up for our newsletter. If you do not want to receive any further GIC/GCC Job reports, you can unsubscribe instantly from the link below.